When I wrote the article “the Sport of Business”, I highlighted similarities and one key difference between business and sports. Nate Lowry responded with a comment that prompted me to recall one of Gary Vaynerchuk’s mantras. Gary says that when building a business, you’re running a marathon. I know that I forget this all too often. 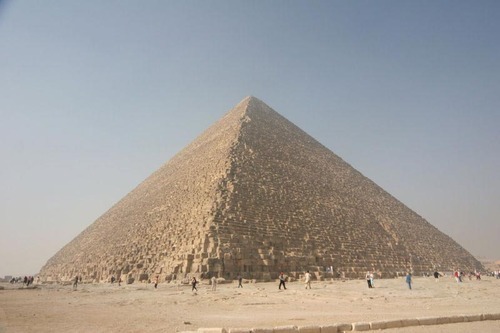 Most scientists estimate it took the ancient Egyptians decades to build the pyramids. What if they just quit after a year? We wouldn’t have the modern marvels that we do today. We would know less about ancient architecture. We give up too early. From the outside, it often seems like certain companies or products just blow up unannounced and become huge overnight. In reality, it rarely works like that. It certainly didn’t for us.\ \ …\ \ It wasn’t enough to make us blow up overnight, though. To get today’s levels we’ve relied on the compound interest of attention. Every year a steady stream of new readers and customers have joined the flock while still keeping the bulk from the year before.\ \ That’s why it annoys me dearly when our advice is discounted with “that only works for you because you’ve got this massive success to roll from”. That “massive” success was built convert by convert. Nobody handed it to us. We’re sharing exactly how we got there and hoping that our experiences and discoveries will help get you to where you want to be as well.\ \ So stop thinking that you can’t get there because you don’t have a huge audience already. Start building that audience today. Start getting people interested in what you have to say. Then in a few years time you’ll get to chuckle about your overnight success as well. Jeff Atwood also wrote a great article on this as well. This is something we must remember. To be successful we must work at it every single day. We must make small improvements in our product, our brand, our relationships, ourselves EVERYDAY. One day, we will wake up too… and we’ll realize that we’ll be successful. How bad do you want it?